Jay’s Furniture Products offers many standard, optional and custom-designed ways to manufacture commercial seating to fit your requirements. 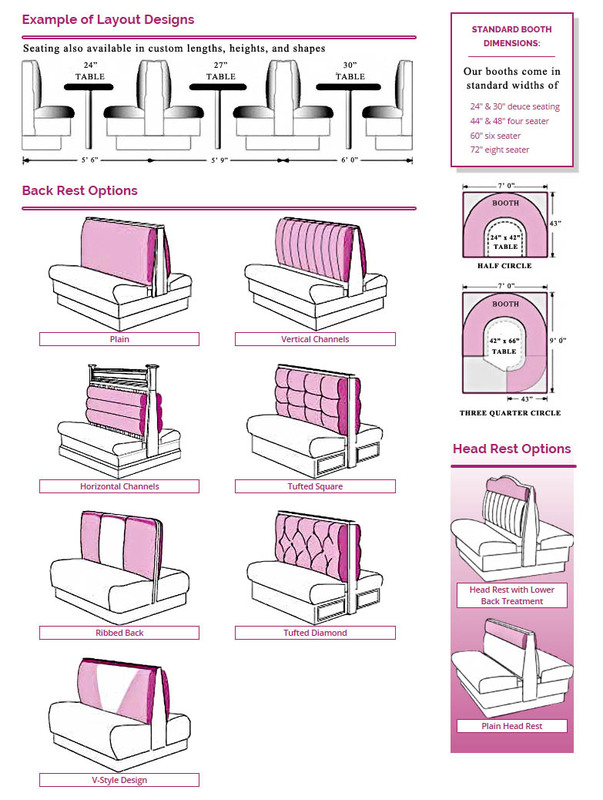 Our specifications and back rest options are listed below. All back rests can be finished in vinyl, fabric, or leather. You should also review our Furniture Warranty page. We're an American seating manufacturer of custom booths and banquettes with numerous head & backrest options for our booth furniture. All Rights Reserved by Jay's Furniture Products, Inc. of Buffalo, New York.